Last week's tragic events in Pittsburgh and Louisville occurred at the confluence of several toxic streams in our society, not just one. One of them, certainly, is the unrestrained, unapologetic application of violence as a means of expressing or "resolving" grievances. The events of last week, when put in the context of America's overall murder rate, underscore the urgency of transitioning to a nonviolent society. 1) I will not – and would never -- compare the victims of the shootings in the Pittsburgh synagogue and the Louisville supermarket to farmed animals. Rather, I will discuss the generalized phenomena of violence, which is a front-and-center issue right now. 2) I will not imply – and I do not believe -- that animal agriculture or meat-eaters are to blame for last week’s tragedies. This will be about the way forward for all of us. 3) I wrote this from the heart as a longtime, and grieving, member of the Pittsburgh Jewish community. Animal agriculture represents the normalization of violence in our society. By an enormous order of magnitude, it is the largest source of violence and bloodshed in our world. In the United States alone, more than 9 billion farmed land animals are slaughtered every year, and billions upon billions of fish and other aquatic animals are killed. Every one of them is a young, innocent, scared animal. They aren’t dying of old age in their sleep. And the violence doesn’t begin in the slaughterhouse. The process of raising animals for food involves violence from start to finish, including bodily mutilations, barbaric confinement, and deprivation of basic needs. 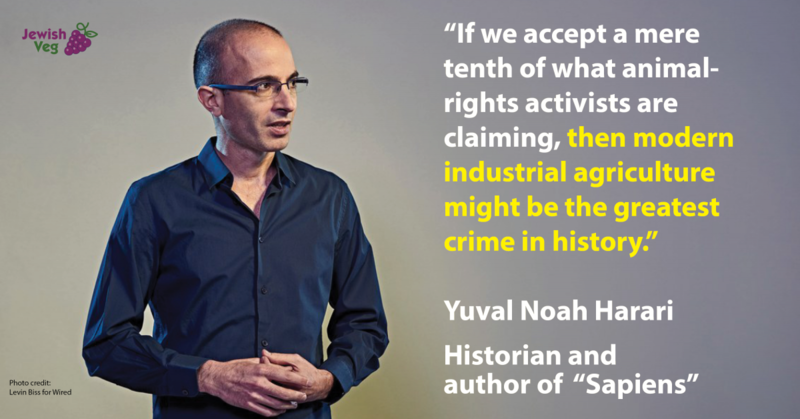 Because of its massive scale, because of its depravity and because it’s ongoing, animal agriculture has been aptly called the “greatest crime in history” by Yuval Noah Hariri, the Israeli historian and mega-popular author. It would be a different matter, I admit, if humans needed animal products for our survival, or even for our health. But the reality is, every major long-term, massive-in-scale nutrition study in the U.S. and Europe has arrived independently at the same conclusion: Vegans and vegetarians live longer and have lower rates of chronic diseases. So in the end, we’re spilling oceans of blood because we like the taste of meat. Our aspirations for a nonviolent society will remain unrealized as long as we allow this to continue. We have a viable, available path to peaceful coexistence, a path identified 3,000 years ago in the very first chapter of the Torah and later articulated by the prophet Isaiah. In Genesis 1:29, God instructs us, in the first conversation with a human, to eat plants and only plants. Among rabbis past and present, there has never been any confusion about what this means: It is an unequivocal prohibition against killing animals for food. It bears repeating: “The wolf and the lamb shall dwell together, and the lion shall eat straw like the ox.” Thousands of years before the onset of factory farming and industrial slaughterhouses, Isaiah realized that the trailhead on the path to peaceful coexistence is found in our stomachs, in our dietary choices. We have to desensitize ourselves, or bury our heads in the sand, in order to continue consuming meat, dairy and eggs. As parents, many of us intentionally deceive our children about the sources of their food, tacitly recognizing that our young ones are born with an innate sense of compassion. Our sages have long fretted about this desensitization and deception, fearing with good reason that violence against animals would spill over into violence against humans. In the Biblical story, God tried hard to prevent this violence. The prohibition on killing animals for food remained in place for 1,000 years. Only after the Flood, after humanity had sunk to its lowest spiritual depths, did God permit meat-eating for the first time, and even then only with severe restrictions and deep reservations. Today, with all that’s going on, we need a vegan world in the worst way. The vegan movement, at its core, is a movement about nonviolence, with regard to animals and humans alike. Donald Watson, who coined the term “vegan” in the 1940s, had this principle very much in mind. “If the vegan ideal was generally adopted, it would be the greatest peaceful revolution ever known,” Watson said. As Watson understood, if we’re not going to countenance violence against animals, we’re certainly not going to support or engage in violence against humans. Even people who go plant-based for health or environmental reasons commonly experience a spiritual epiphany, in which they begin to feel a much deeper sense of connection to all sentient beings, to all of Creation. 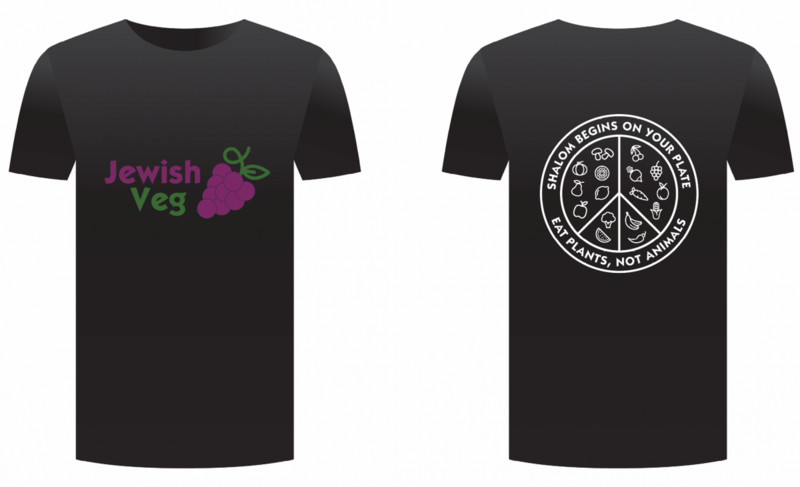 “Shalom begins on our plate” is not just a slogan on our t-shirt. Belief often emanates from action. This is not to say that vegans are perfect people. Of course we're not. We have our foibles, our faults. We commit transgressions of many sorts. 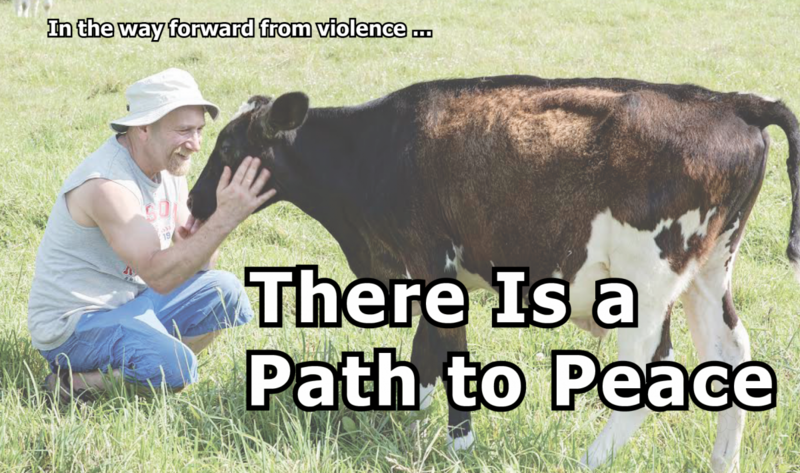 However, the vast majority of vegans, by definition and in actual reality, are firmly and passionately committed to the principle of non-violence. That the Pittsburgh shooting took place at a synagogue called “Tree of Life” is a heart-wrenching juxtaposition. As Jews, we are commanded to not just pray for peace, but to earnestly and actively pursue it as the most sacred of objectives. And of course it follows that we are not pursuing peace while consuming the products of violence. 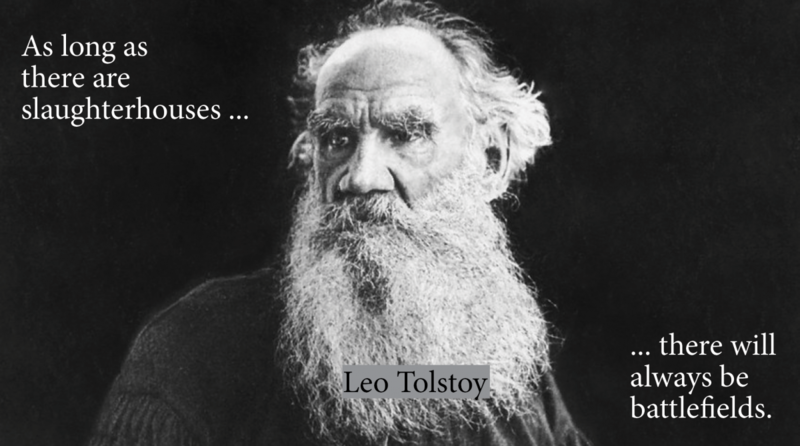 Please hear the call of our sages, our prophets, our rabbis, our writers, our thought-leaders … indeed our best selves. Please join Jewish Veg on the path to peace. Our city, our country, and our world need you, now more than ever.